Tucked away at the back of the Estancia Hotel and Spa is the charming Spa at Estancia. 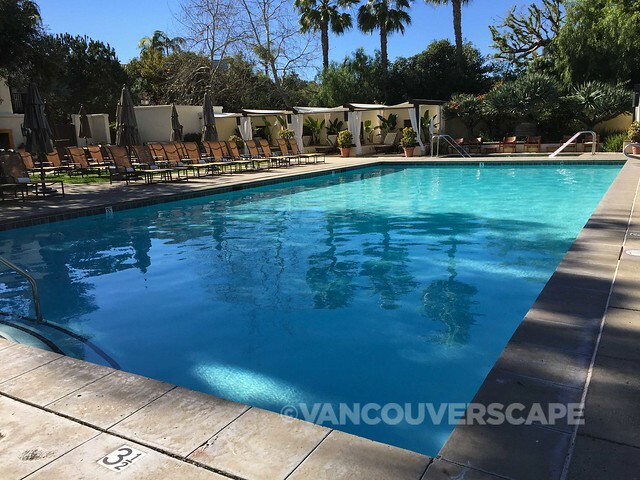 The beautifully manicured hotel grounds lead me to the 7,000-square-foot spa that includes a Mediterranean-inspired lounge, eucalyptus steam room, meditation garden and outdoor saltwater whirlpool (I imagine a similar layout exists on the men’s side). The relaxing atmosphere contains small, colourful candle holders and lanterns that create a North African ambiance. Condé Nast Traveler has awarded the Spa at Estancia as one of the top spas in the world. The 80-minute Neroli Experience is a new treatment on the spa menu that combines deep tissue and therapeutic massage using Neroli essential oil, a foot scrub and lymphatic dry brush techniques. With a sweet, intense floral aroma, Neroli oil is known to regenerate the skin, helping maintain its elasticity while helping to heal broken capillaries. In aromatherapy, it calms and relaxes, helping to relieve insomnia and stress. Once I’m shown the locker area, I briefly visit the steam room, get my robe on and head to the relaxation lounge. Those chaise loungers are too good to pass up! The softly-lit massage room and cozy blankets I’m placed under get my mind calm in no time. By the second time I’m asked to turn over during my session, my body feels firmly molded into the warm and cozy massage table. An aqua pillow helps send my mind drifting as the masseuse works her magic into my muscles. I found the combination of treatments rolled into one session a fabulous way to relax and rejuvenate during my Southern California road trip. 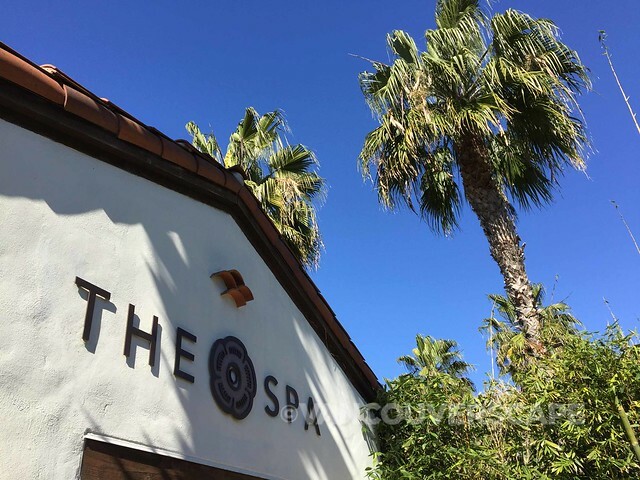 In addition to various body treatments, organic facials and nail services, the spa has an adjacent fitness center, gorgeous outdoor pool with cabanas and offers private yoga lessons. Estancia La Jolla Hotel & Spa is located at 9700 North Torrey Pines Road in La Jolla. My Neroli Experience was complimentary for the purpose of experiencing the spa. Opinions, as always, are my own. Non-watermarked images courtesy of The Spa at Estancia La Jolla.